Ph.D. in Info. Systems at the Technion. 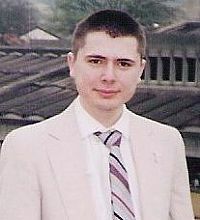 Participated in the Technion Excellence Program: October 1998 – February 2002. Alon studied advanced courses starting his first semester and participated in a research project in later semesters and co-authored a paper. The research was about building a corpus for modern Hebrew text. Among his research subjects: "Monotonicity and Relative Scope Entailments" under the guidance of Prof. Edward Keenan and Dr. Yoad Winter from the Computer Science faculty. Recommendation to Program participants: "Go ahead and study courses that look interesting as soon as possible." Today (2012): Alon works as a Software engineer for Google, in Mountain view, California.